The HHS Office for Civil Rights has scheduled four Web seminars to explain the omnibus final HIPAA rule to modify the privacy, security, breach notification and enforcement rules, as well as the Genetic Information Nondiscrimination Act. The rule was published Jan. 25, became effective March 26 and has a compliance date of Sept. 23. The Web seminars, being presented with assistance from the Workgroup for Electronic Data Interchange, are targeted to small clinical practices with a focus on practical strategies for implementing changes in the rules. The 90-minute seminars are scheduled for June 14 (overview of the omnibus rule), June 28 (covering the privacy rule), July 17 (covering the breach and enforcement rules) and July 28 (covering business associate provisions). Officials also will update the forthcoming HIPAA Audit program. The 90-minute seminars begin at 1 p.m. EDT, and registration is available here. The USP official standard went into effect May 1. The standard provides a universal approach to the format, appearance, content and language of instructions for medicines in containers dispensed by pharmacists. Download the guidelines. The Arizona Pharmacy Association Annual Pharmacy Convention is excited to include a poster session during the exhibit hall June 29. Individuals interested in presenting a poster must submit a 250-word abstract. Abstracts must be emailed to Laura Tsu before June 1. 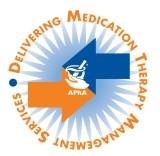 To be eligible to present a poster you must be an AzPA member and be a registered attendant at the meeting. 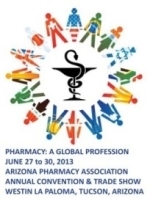 Register today for the AzPA 2013 Annual Convention & Trade Show. Visit the website for complete information, or download the registration brochure. Industry pulse: Do you think nanoparticles will lead to safer, more effective cancer treatment? Public health initiatives and scientific advancements have us living longer, and living and dying differently than in centuries past. An increasing burden of chronic disease and an aging population bring growing demands for palliative care, seeing it expand beyond end-of-life cancer care to a broad practice that is independent of diagnosis. To meet this social need, strategies have been implemented at individual and population levels to integrate principles of palliative care across disciplines and care settings, promoting palliative care as "everyone's business." Looking for similar articles? Search here, keyword LONG-TERM CARE. As hospitals look for ways to improve patient satisfaction and boost their Medicare reimbursement, a Henry Ford Hospital study found that an inpatient pharmacist-directed anticoagulation service might be an unexpected opportunity. In a survey of 689 patients who received inpatient anticoagulant therapy, patient satisfaction increased significantly using the PDAS compared to patients' reviews of their care in a previous pharmacy model. Fortune magazine has published an in-depth investigation of Ranbaxy Laboratories, the first foreign generics manufacturer to sell drugs in the United States, alleging massive fraud perpetrated by the company while making, testing, marketing and selling its generic drugs worldwide. The older vaccine for whooping cough that was phased out in the late 1990s is more effective than the current version of the vaccine, a new study contends. Teenagers who received four shots with the older vaccine — called whole-cell vaccine — before they were 2 years old were significantly less likely to become infected with whooping cough during a recent outbreak in California, compared to children who received all of their immunizations with the new vaccines, called the acellular vaccine. Researchers have reported promising results of a study of a surgical device used to treat gastroesophageal reflux disease. The LINX Reflux Management System, which was approved by the FDA in March 2012, consists of a ring of titanium beads with magnets inside that is placed at the bottom of the esophagus through a surgical procedure. The flexible ring expands when a patient swallows, but otherwise keeps the esophagus closed to prevent bile from regurgitating. A Phase III clinical trial of ROTAVAC — a rotavirus vaccine consisting of a strain that was isolated, manufactured and tested in India — demonstrated the vaccine to be efficacious in preventing severe rotavirus diarrhea. According to India's Department of Biotechnology and Bharat Biotech, the vaccine reduced severe rotavirus diarrhea by 56 percent during the first year of life, with benefits continuing into the second year of life, and the vaccine was effective against severe diarrhea of any cause. Low-dose oral contraceptives might increase the incidence of chronic pelvic pain in young women, especially during sexual climax, a new study suggests. A little blue bomb dropped on the pharmacy community recently. Pfizer has launched a service dedicated to filling prescriptions for Viagra safely and discreetly, mailing it directly to consumers who never need to step foot into an actual pharmacy. Young children develop urinary tract infections fairly often. Before age 6, approximately 7 percent of girls and 2 percent of boys experience this painful condition. In treating these patients, pediatricians often select antibiotics empirically and may do so with little consideration of local and national antibiotic resistance patterns. Low-dose oral contraceptives might increase the incidence of chronic pelvic pain in young women, especially during sexual climax, a new study suggests. "This is a side effect that is not discussed and is not in the package insert," said Dr. Margarita Aponte, an urologist from New York University in New York City. A new study suggests that long-term use of opioid prescription painkillers for back pain is tied to a higher risk of erectile dysfunction. The findings are published online in the journal Spine. The FDA has approved a drug to help men with advanced prostate cancer whose disease has spread to the bones. The drug, Xofigo, is targeted to patients with late-stage, metastatic disease that has spread to the bones but not to other organs, the FDA said in a news release. It is meant for patients who have already undergone surgery and/or drug therapies such as hormone-based treatments.